Their names indicate this duality: Ometecuhtli means Two Lord, and Omecihuatl, Two Lady, and both resided in Omtycan, the place two. They were also called the lord and lady of our flesh and sustenance and were represented by symbols of fertility and adorned by ears of corn, for they were the origin of generation and the lord and mistress of food. We have already discussed a dual creative principle, masculine and feminine, from which the other gods originated by the process of generation. Their names indicate this duality: Ometecuhtli means "Two Lord," and Omecihuatl, "Two Lady," and both resided in Omeyocan, "the place two." They were also called "the lord and lady of our flesh and sustenance" and were represented by symbols of fertility and adorned by ears of corn, for they were the origin of generation and the lord and mistress of food. To be sure, these fundamental theogonic ideas were not an invention of the Aztecs. We have proof that the gods of generation were known in areas other than those conquered by the Aztecs. 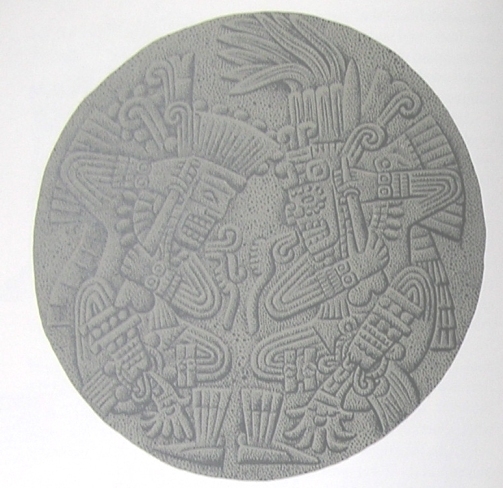 Thus, for example, in the Codex Borgia (pre-Columbian codex now in the Ethnological Museum of the Vatican, Rome), which comes without doubt from a region of Puebla or Tlaxcala, we find these two gods mentioned as divinities propitious to generation and food. Moreover, they appear associated with the first day of the ritual calendar, the Alligator, representative of the earth, as patrons of that day. This association indicates that they belong to a very old mythical tradition, since, as has been shown elsewhere, the ritual calendar existed in Mexico and Central America centuries before Christ. This is not the only case which demonstrates that the Aztec religion was, in the vast majority of its concepts, a collection of ideas and practices derived from much older theogonic concepts and ritual practices. Indeed, some of these are so old that they are associated with the first appearance of sedentary cultures in Mesoamerica. 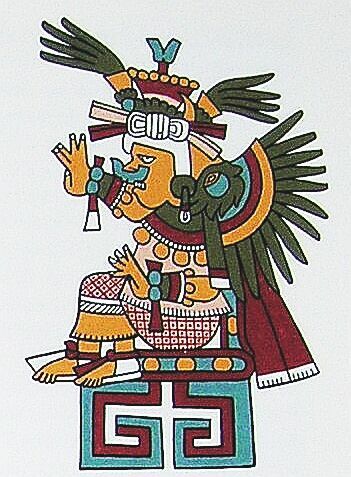 According to one of the versions that have come down thus, these two gods, Ometecuhtli and Omecihuatl—also called Tonacatecuhtli and Tonacacihuatl—had four sons to whom they entrusted the creation of the other gods, the world, and man. 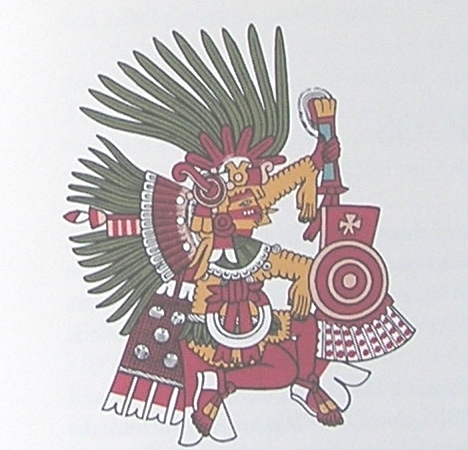 The four sons of the primitive divine pair were the Red Tezcatlipoca, also called Xipe and Camaxtle; the Black Tezcatlipoca, commonly called Tezcatlipoca; Quetzalcoatl, god of wind and of life; and Huitzilopochtli, the Blue Tezcatlipoca.